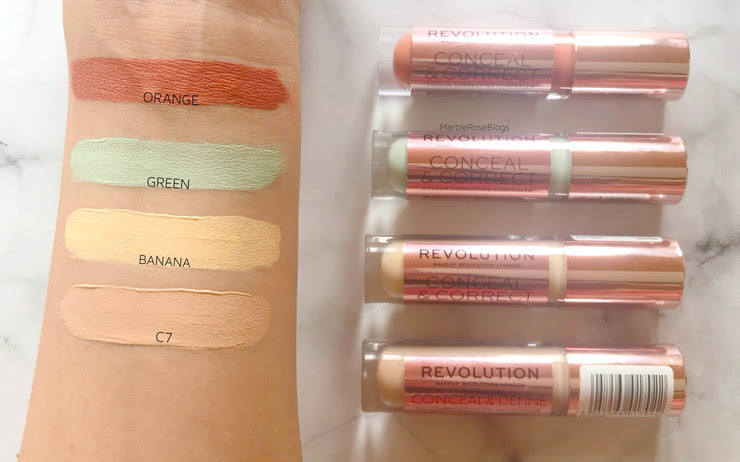 Hey guys, Makeup Revolution have recently released new colour correctors as part of their ‘Conceal’ range, which follows on from the ‘Conceal and Define’ Concealers that were released prior to these ‘Conceal and Correct’ Colour Correctors. 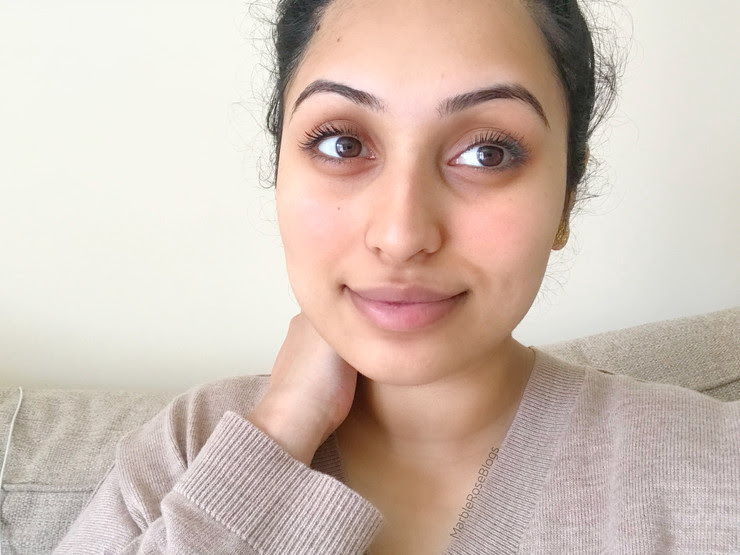 Safiyah Tasneem gave me the opportunity to review these concealers and so here I am testing them out for you all! 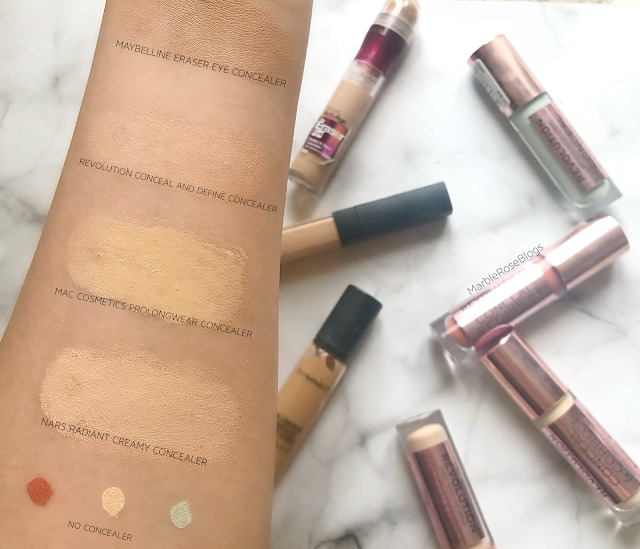 As you all may know Makeup Revolution almost broke the internet when they released their infamous ‘Conceal and Define’ Concealers, which are said to be the drugstore DUPE for the internets most loved 'Shape Tape' concealer by Tarte. They have now released colour correctors and so as a blogger I was intrigued to see whether this lived up to same standards as the concealers did. There are currently three shades available: Orange, Green and Banana. The orange corrector is meant to cover dark circles and dark spots, while the green corrector neutralises breakouts, redness, rosacea and sunburn and finally the banana corrector brightens and evens out skin tone! 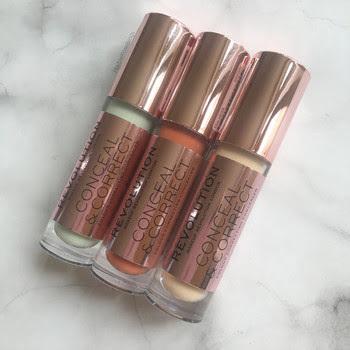 These correctors retail for £4.00 each (Superdrug or Revolution Beauty), which is super affordable and they also come with a large doe foot applicator, like the concealers do! As you can see from the image above, I swatched each shade on my arm so that you are able to see the colours against my skintone. 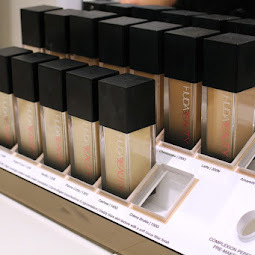 Makeup Revolution kept the formula and packaging consistent with the concealers. 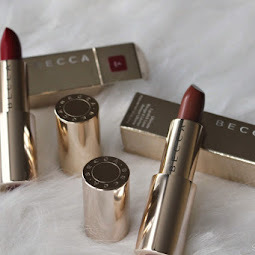 I love the rose gold packaging and large doe foot applicator as it makes applying the corrector super easy and seamless, but this can also mean you are using more product than you need. The correctors have a similar creamy consistency to the concealer. 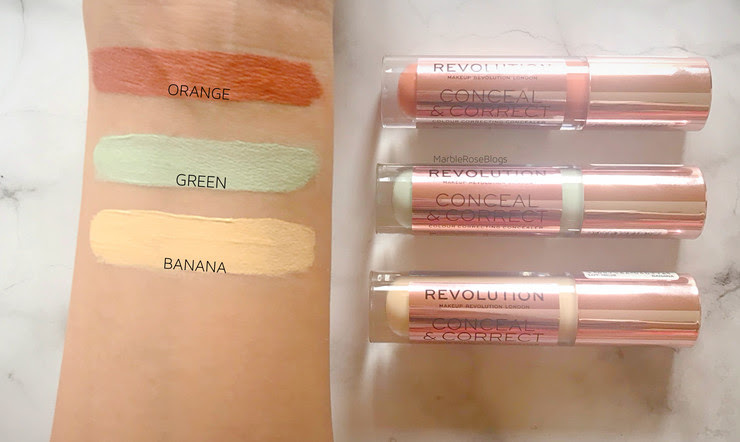 When I swatched all three corrector shades I noticed that the orange corrector had intense coverage with one swipe, whereas the green and banana shade was more on the lighter side of medium coverage. This means that my skin still peaked through underneath. 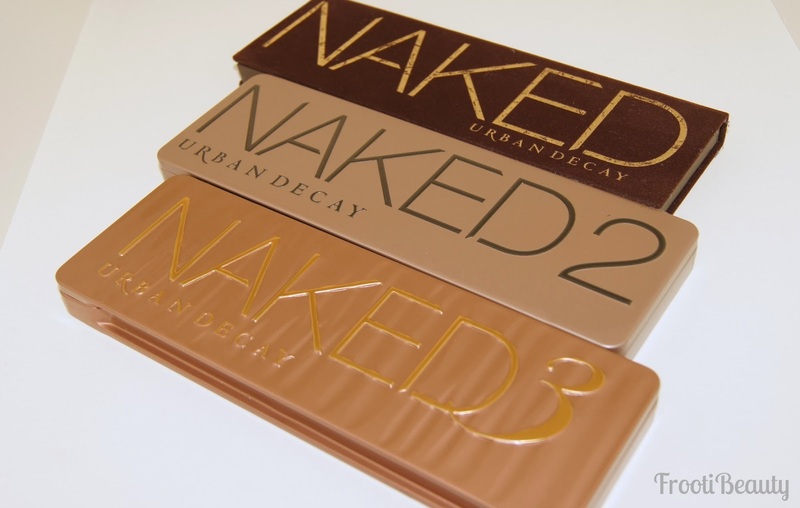 This isn’t a major thing as I think this made them easier to blend out and cover up underneath my makeup. The orange corrector is more of a terracotta shade, which I think is perfect for deep skintones rather than light or medium skintones. I was a little bit nervous to use this on my skin as I know orange correctors like this can be harder to cover up. However, the green and banana correctors are nice light pastel shades which are great for most skin-tones! 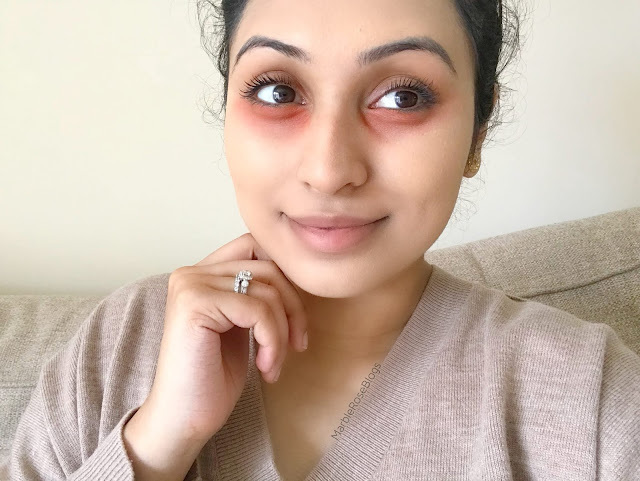 Dark Circles - I didn't really suffer with this until recently, as I have become anaemic, which can cause darkening around the eyes. But, a lot of people may have dark circles from genetics or just lack of sleep! 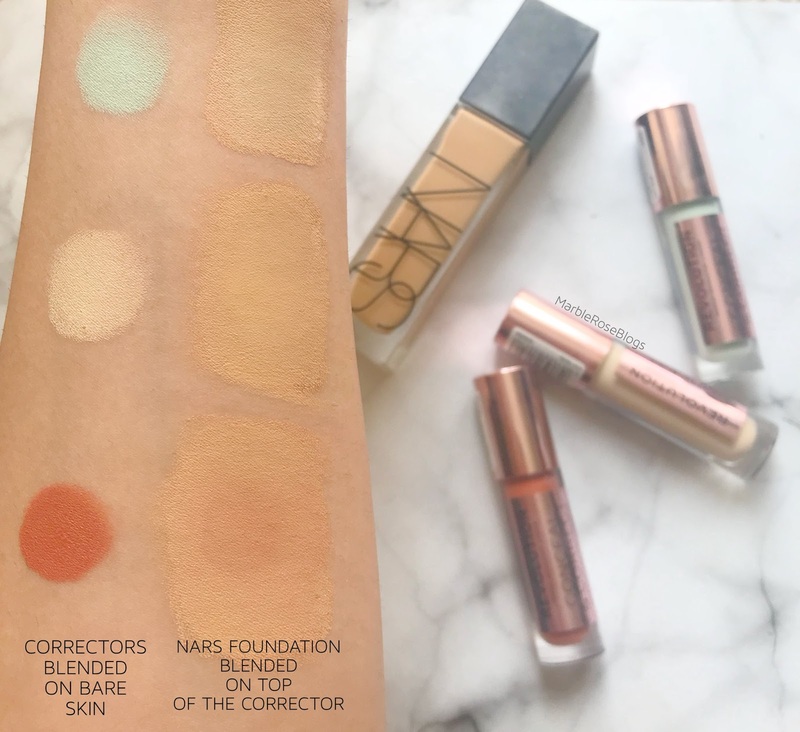 So, with all that being said lets have a look at how the correctors performed! I applied the orange corrector under my eyes and on my smile lines very lightly as this corrector in particular is SUPER pigmented and a little goes a LONG way! I applied the green corrector on the apples of my cheeks where the redness peaks through and then applied the yellow corrector on the high points on my face. I purposely didn’t apply the corrector to my upper lip as I wanted you to see how colour correcting does makes a difference! Quick Tip: Wipe off any excess corrector before applying to the face as the doe foot applicator picks up a LOT of product which means you will end up with more product on your face than you need! I know I look a little bit scary but I have applied a layer of my foundation (NARS natural radiant foundation) to the skin, avoiding the undereyes, which covered the correctors fairly well. Although my makeup isn’t complete, you can already see that my skin looks a lot brighter and even. You can also see that my upper lip area has a slight shadow where I didn’t colour correct. 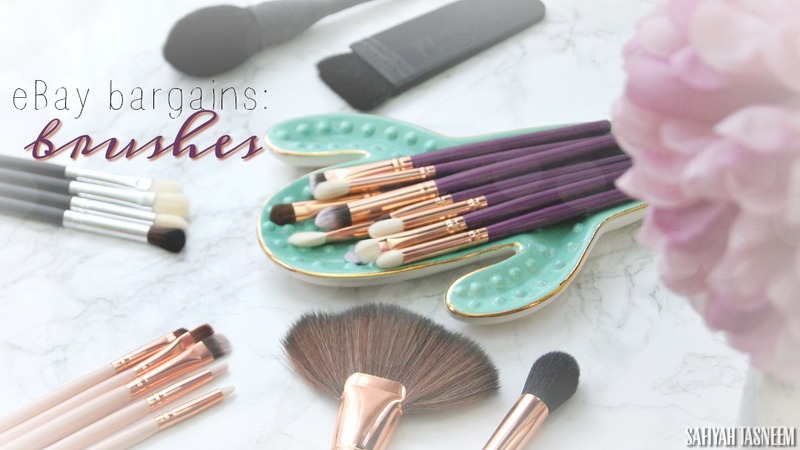 Colour correcting, if done properly, can really change your makeup game! Quick Tip: For a flawless finish I would recommend using a beauty blender/sponge to stipple the foundation into the skin. This ensures that you are not moving the correctors around under your foundation or mixing it in with your foundation! In the picture above I applied concealer (Makeup Revolution Conceal and Define in C7) which covered most of the orange corrector. As the corrector is a too dark for me I had to apply a bit more concealer than I normally do to cover it up completely. Bear this in mind if you have a similar or lighter complexion than me! Quick Tip: I found that the correctors do slightly mix in with your base products. The green and banana aren’t noticeable at all, It is more obvious with the orange corrector as it is dark for my complexion. Make sure you lightly set them in place with powder first before applying any foundation and concealer over top! I did mini swatch tests on the correctors using my favourite foundation and four favourite concealers to show you all that choosing products that are suitable for your skintone is important. In my case, the orange corrector is too dark for my complexion and despite using good quality medium to full coverage foundation and concealers, the corrector would still peak through! As you can see in both images, none of the base products were able to fully cover the orange corrector with just one layer. I would have to go on top with a second layer to get rid of that reddish tinge peaking through. On the website for Makeup Revolution they do state that this particular corrector is ‘ideal for darker skintones’ so I was a bit confused to why they didn’t just release another Peach shade for light and medium skintones? If you did purchase this corrector it’s important to know that you will need to use this product very lightly and add a bit more concealer or foundation over top of the corrected areas to prevent it from showing through! 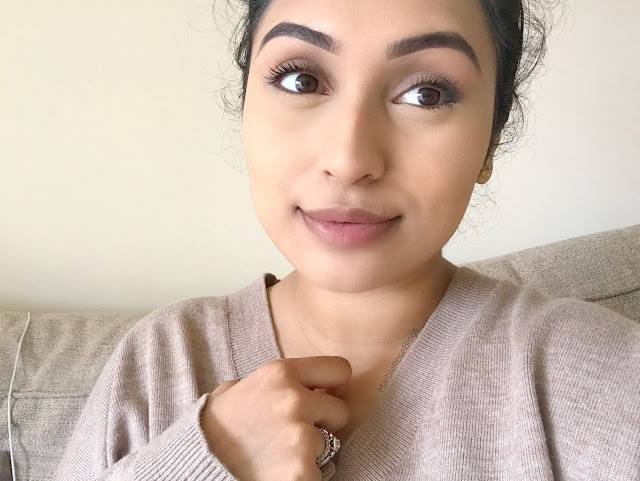 Overall, I think that they all work well in general, blend out beautifully and definitely cover up those problem areas but I wouldn’t recommend using the orange corrector if you have a fair or medium complexion. 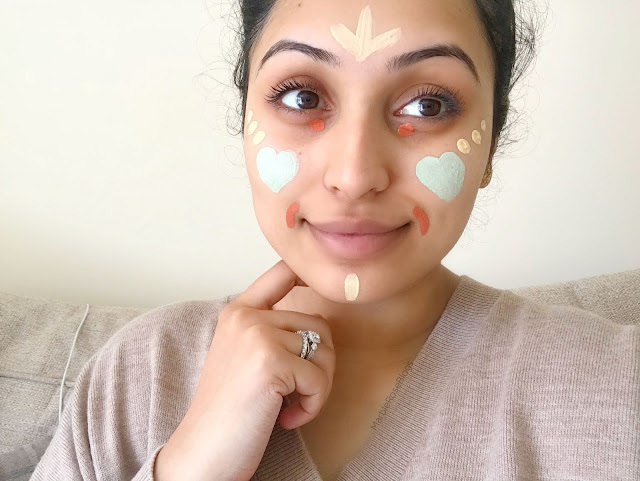 The correctors are super affordable, at only £4.00, and I love that they are widely available for everyone to use, as not everyone likes to spend heaps of money on a high-end corrector, when these Revolution correctors do the same thing! My favourite is the banana corrector as I can mix this in with foundations which are too neutral or pink toned for me to create the perfect yellow toned shade. 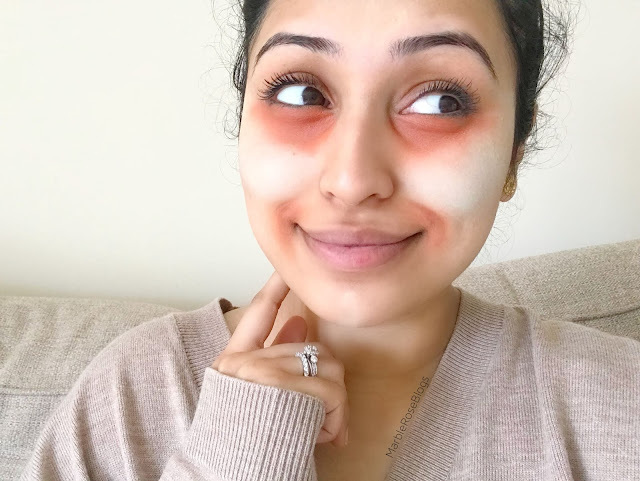 I can also use this under the eyes to brighten the area up too! 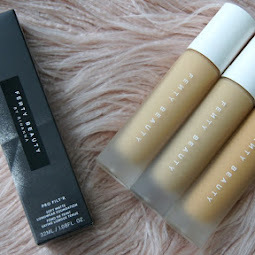 I would definitely purchase these correctors again, especially if Makeup Revolution bring out more shades that suit my skintone better *fingers crossed*.